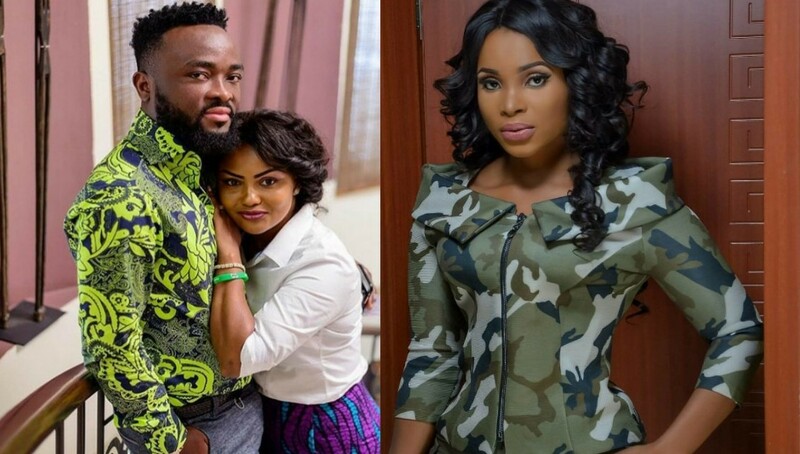 If you’re wondering whether or not Benedicta Gafah and Maxwell are dating, you’re not alone! We’ve got EXCLUSIVE details on their alleged relationship, pregnancy, and why things may be heating up for them very soon! 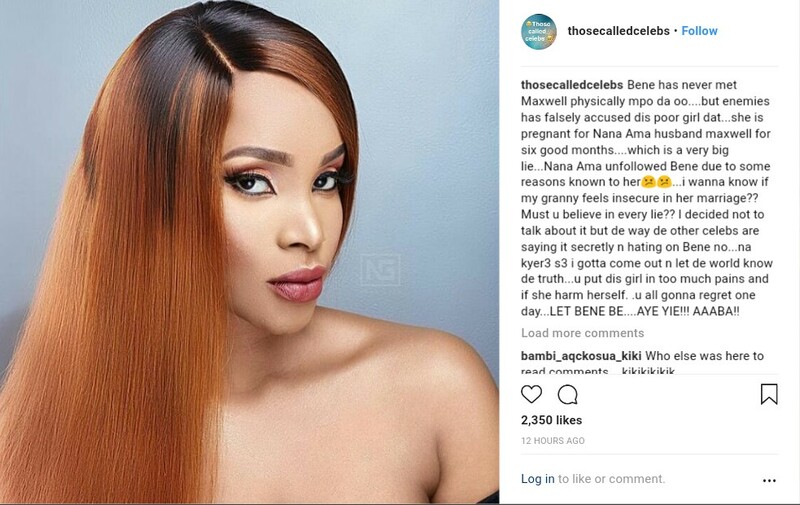 According to them, it is now on the lips of most female celebrities that Benedicta Gafah is 6 months pregnant for Maxwell, Nana Ama’s sweet hubby. To our surprise, Nana Ama McBrown has unfollowed Benedicta Gafah for whatever reasons best known to her. 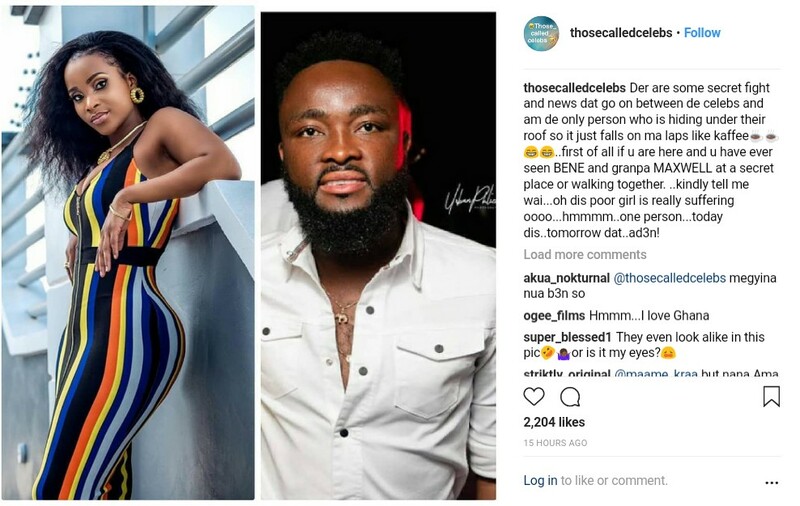 The big question is why has Nana Ama McBrown unfollowed Benedicta Gafah even though Benedicta wished her on her 41st birthday? I guess we will have to wait and see how this all plays out! Bendre Thompson is a young Ghanaian Blogger, a PR Practitioner and a TV & Radio Presenter. Bendre is the CEO of Showbizreporter.com and a former radio producer on Entamoty Live Youth Show on Class FM. I'm a regular student from the Ghana Institute of Journalism studying B.A in Communication but specialized in Public Relation and has a certified certificate in Digital Marketing( Digital Training Ghana). Connect with me @bendre.thompson on facebook, @bendret on twitter & @bendrethopmson on instagram. you can contact me on +233266772035 or write to at bendrethompson95@gmail.com for promotions, hiring, publicity & bookings. Kevin-Prince Boateng Is Now The 'King' of Rap - Here's His 1st Rap Track "King"